Striking design, smooth surfaces, quality materials & superb finishes sets the Paramount landscape kiosk apart. The premium high resolution, ultra responsive 32 inch display allows for easy viewing of pictures, text and video – from any angle, it’s also created to accommodate people of all heights including wheelchair users. 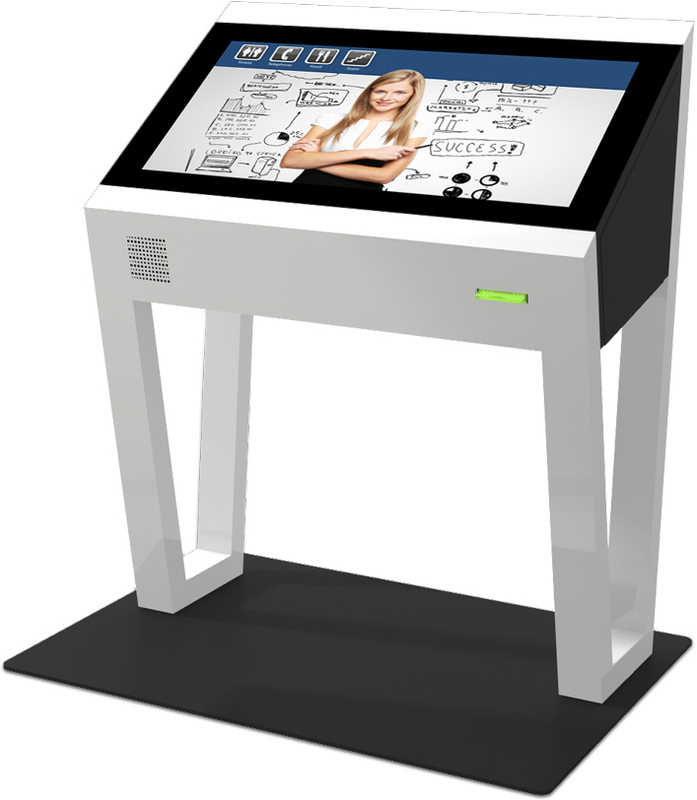 The side opening door allows for maximum flexibility when deploying the kiosk. Inside the kiosk is a premium audio solution, room for a variety of printers (including a 6 1/2″ print roll) and easy access to all the internal components.